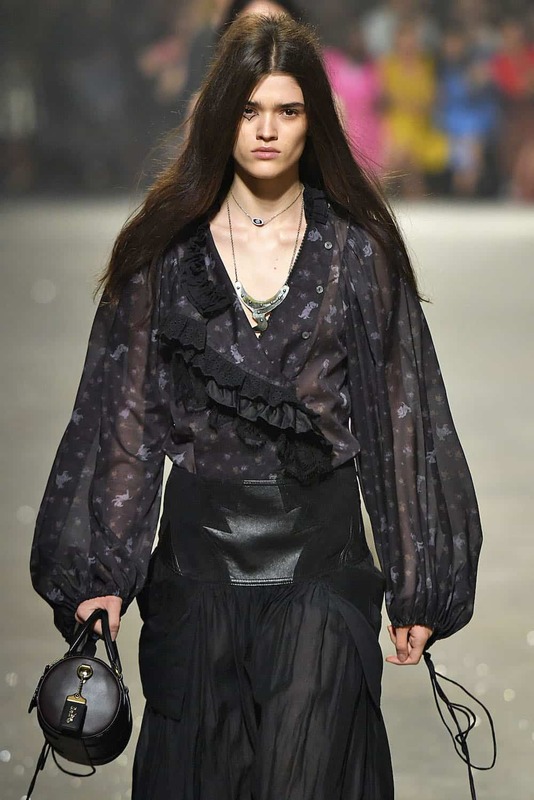 On September 11, Coach debuted their Spring Summer 2019 ready-to-wear collection at New York Fashion Week. The collection gave off some seriously industrial vibes coupled with a seriously sweet and nostalgic Disney collaboration. This is not the first time the two conglomerates have worked together, but it’s by far the most exciting because some of these pieces are already available for purchase! 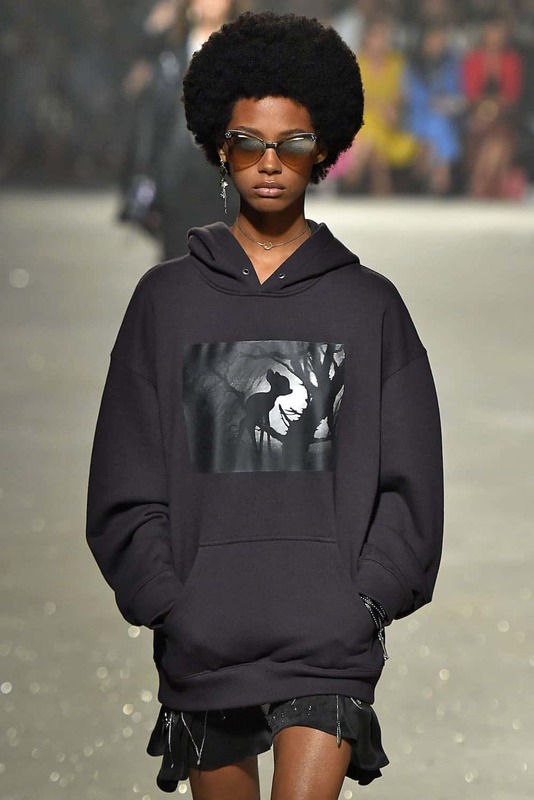 The show featured a number of sweaters and sweatshirts adorned with Disney characters, such as Bambi, as well as some extremely subtle Disney themed prints that snuck their way on to a handful of skirts and sweaters. However, those looking closely might have also noticed a few Disney themed bags. The barrel bags, inspired by one of Coach’s designs from the ’60s, are the latest to get the Disney treatment. Creative director Stuart Vevers adorned the bags with an original prairie print and hang tags featuring a variety of characters including dalmatians, Dumbo, and Thumper. And the best part? These pieces are already available! Prices range from $ 125-$ 900, with the bags coming in at $ 450. Head to the website now to shop the collection!